Sitting on the terrace and enjoying the view was absolutelly great! All people in charge with the cabanas were very friendly and helpful, in all questions. We liked the location. About a 20 minute walk into Hanga Roa. The staff are most helpful. Our Cabanas was secluded. We were able to rent a vehicle from Johann at a fair price for island costs. Nice quite location. An easy walk to the museum, a must see. We stayed for 10 days. Could have stayed longer. There’s so much to explore. Iorana! Excellent service an location. A bit more secluded (which is nice if you want to rest), but close to town anyway. There is a museum and a nice archeological site with a beach near the place. The place has everything you need if you want to cook your own food (and save some money because restaurants are a bit expensive). Marcela's hospitality really made us feel like we were at our cousins place. Great Cabana.. Large enough for 4. Although it was only 2. You can see the ocean and walk to one Maori site. Marcela was great even mailed my postcards for me. Extremely nice and helpful hosts; the hosts welcomed us up at the airport. 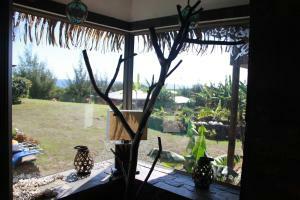 The cabañas are about 300m inland, however, with sea view. Walking distance cabañas-"downtown" is about 20 min on foot. 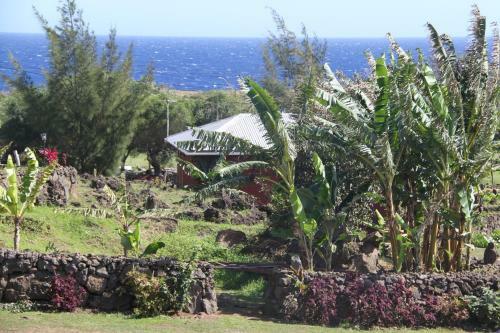 The cabañas are close to the museum of the rapa nui culture. We enjoyed our stay at the Cabañas Mata Ki Te Rangi! The staff was really nice - they picked us up from the airport and drove us back on the departure day. Wifi was working everywhere in our cabin. They rent also bicycles and quad - unfortunately quad went broken when we're about to use it - but it's fixed now. They cleaned the cabin and changed the towels everyday. Location was really good - a little bit outskirt of Hanga Roa - no noise from the city and we could go and see the sunset at Tahai every evening! it was quiet and clean and safe. the lady who picked us up and returned us to the airport was very nice. You could rent a car from them. The garden was lovely and the far off view of the ocean was there, though far away. Its nice enough for easter island but not exceptional. It could be a bit cheaper, as i dont think its worth the price. The rental car is really cheap though I would rather have paid a but more and stay somewhere else. Location is wonderful. Host is very friendly. We had hot water! Our friends in cabana next door did not. 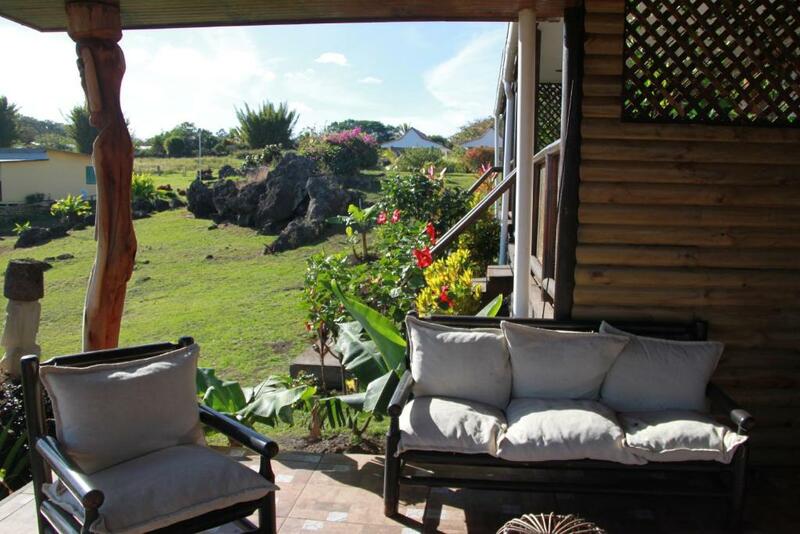 Lock in a great price for Cabañas Mata Ki Te Rangi – rated 8.5 by recent guests! One of our top picks in Hanga Roa.Located within 13 miles of Ahu Tongariki in Hanga Roa, Cabañas Mata Ki Te Rangi provides accommodations with a kitchen. Fitted with a terrace, the units feature a flat-screen TV and a private bathroom with free toiletries. Some units have a balcony and/or a patio with sea or garden views. Hanga Roa Anthropological Museum is a 17-minute walk from Cabañas Mata Ki Te Rangi. 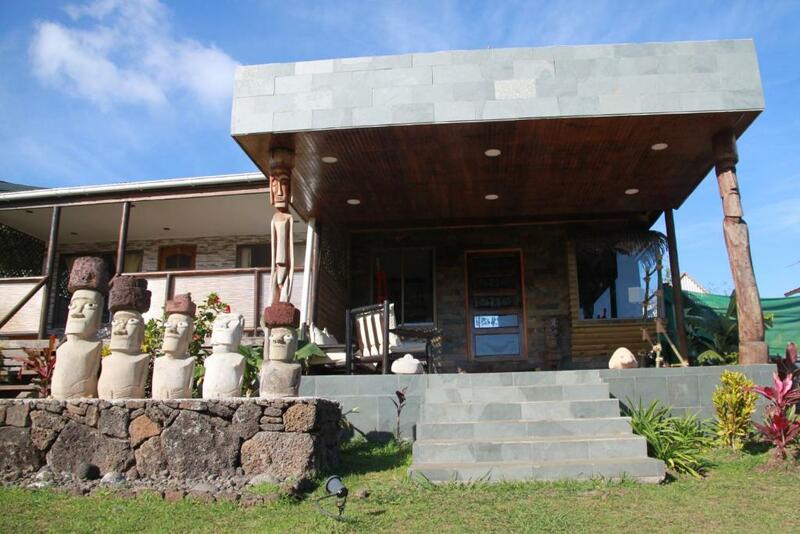 뀐 Located in the top-rated area in Hanga Roa, this property has an excellent location score of 8.3! When would you like to stay at Cabañas Mata Ki Te Rangi? This bungalow features a sofa, microwave and barbecue. This bungalow features a dining area, kitchenware and toaster. 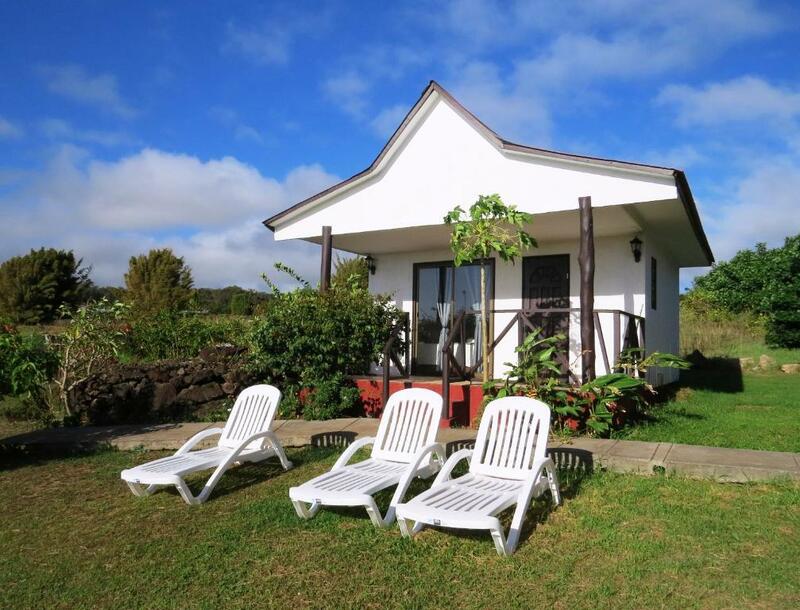 Estamos Ubicados en una colina, que permite disfrutar del azul del mar y de los atardeceres de Rapa Nui, Son sólo 5 cabañas, lo que nos permite entregar un servicio personalizado. 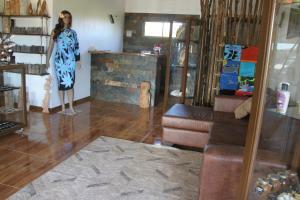 House Rules Cabañas Mata Ki Te Rangi takes special requests – add in the next step! Cabañas Mata Ki Te Rangi accepts these cards and reserves the right to temporarily hold an amount prior to arrival. Please inform Cabañas Mata Ki Te Rangi of your expected arrival time in advance. You can use the Special Requests box when booking, or contact the property directly using the contact details in your confirmation. It is relativelly far from the Main Street with the shopping facilities. If you are not good by feet, it is hard to reach it. We missed some person in charge that could help us anytime to find/call a taxi. There is no internet available. Luis, our driver hat came to pick us up must be the unfriendliest person on the island. Even speaking spanish to him, he had no interest to talk to us. He just dropped us off at the property at 23:30, with no idea what room we were in. He said we should just wait, someone is coming, but they never did. So we walked around to find a open cabin. There was no “welcome pack” with a map etc and information about check out time-we had to ask. It was also hard to know where and how to contact our hosts because the shop that they sat in wasn’t always open. Room description does not match. We were suppose to have one double and one single beds and we had 3 single beds. Room amenities do not match. It said room has washing amenities like shampoo and body wash and all we had was soap. There is no daily cleaning. Rooms get cleaned once in 3 days. When we checked in the room was dirty, floors were dirty. On the third day the room got cleaned and was much better. We picked this place because the reviews said that the host was very friendly and helped with suggestions for things to do and there were bikes to hire. However, we did not see the host at all for the length of our stay and there were no bikes to hire (this would have been helpful because of the location of the cabins). He was not there to greet us, and was not around for check out. We spoke to the brother-in-law who was there when we arrived who gave us brief detail about the stay. There was one man at reception on one occasion who was helpful (and gave us a lift into town), but we never saw him again. When it was time to go to the airport, we had been told to go to reception and they would arrange a taxi, but on the day there was no one there to help us and we had to hitch a ride from a local. The property is a bit further out from town than it seems from the description. It is near the museum and a moai, but is actually about a 20 minute walk into town. There is also no wi-fi. 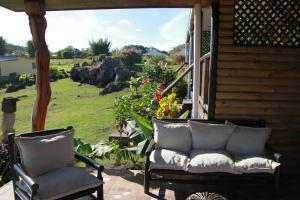 The cabin was great and good to have a little kitchenette given the prices to eat out at Rapa Nui are quite high. It was good to be able to cook our own meals for the length of the stay. The cleaning staff did a great job. While it is a bit out of town (20 minute walk to town), it was nice to be away from everything and the views from the cabin are beautiful. The property was great! It was in a quiet location with a view of the ocean and it was a only a 20 minute walk into town. Very close to the Moai. The hosts were very friendly and helpful. No wifi or free toiletteries. Peacefull location just outside of center. 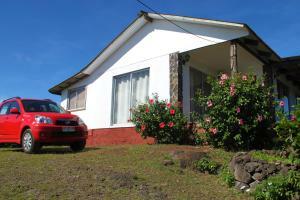 Few Moas nearby, comfortable apartment, friendly owner, clean rooms. Terrace and kitchen ok. Sea view. Car rental available with fair price and there is even little souvenier shop. The congeniality of the hostess and staff. We booked the "Bungalow deluxe" but they gave us the way way (!) worse "Sea view" Bungalow, even if the "Deluxe" was available. The difference between the two is enormous. After noticing the second day, they prepared the deluxe bungalow for us. There is some family problem going on and half the bungalows on the area belong to another part of the familiy and operate under another name. Quite confusing when you need help. There were hundreds of woodlice everywhere and entering the building. Specially in the "Seaview" bungalow. We taped the doors to safe us. Overall: Many problems to solve for such a high price. Wifi was given, even it was not specified. It's often slow, but that's an easter island problem. We could rent their car for cheaper than anywhere, which is a big plus. It's also possible to rent bicycles. 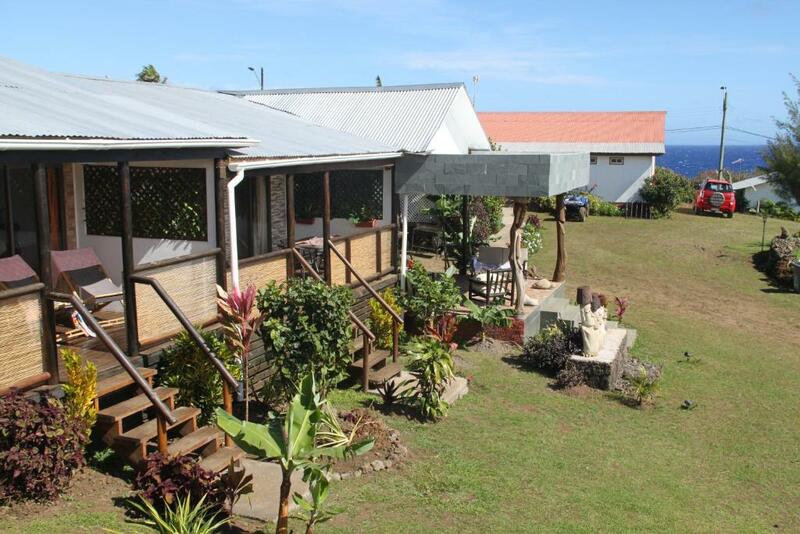 The bungalows are located quite outside of the city, but you can walk 20 minute along the coast while seeing the statues, the reason you are here for. It's a nice walk.